Trump needs to SEND A MESSAGE and revoke Obama's Amnesty Law (DACA). As long as it's on the books, the dates could be modified to accommodate the next batch of ILLEGALS and their ILLEGALETTES (their kids) who may not qualify under the current dates. WHEN does it end? Memos released Tuesday by the Department of Homeland Security direct agency employees to begin immediately implementing President Donald Trump’s executive orders on immigration and border security. One of the memos calls for the immediate construction of a wall along the Mexican border. 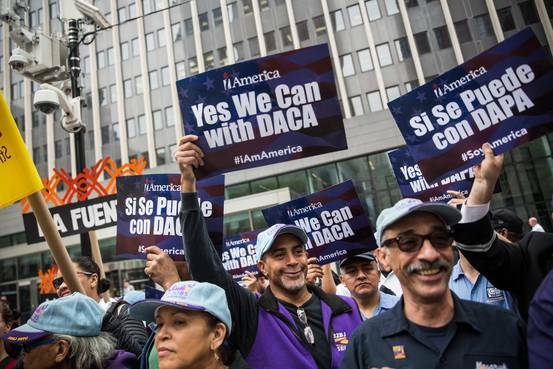 The other memo declares that President Barack Obama’s executive amnesty program, known as Deferred Action for Childhood Arrivals (DACA), is not to be affected by Trump’s executive orders. The two memos were signed Monday. On the campaign trail, Trump pledged to get rid of Obama’s amnesty for illegal immigrants who were brought to the U.S. as children. He has yet to fulfill this goal. Trump to keep DACA in new immigration policy?